Three More Characters Announced For Super Smash Bros.
Nintendo promised one new Smash Bros. character reveal this morning and instead gave us three: the returning Captain Falcon and two characters from Fire Emblem Awakening—Robin and Lucina. Captain Falcon has been in the Smash series since it first debuted on Nintendo 64. The other Fire Emblem characters are total newcomers, joining Marth and Ike to raise the total Smash Fire Emblem count to a whopping four. 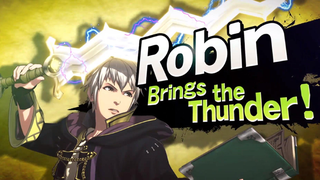 Robin, by the way, is the official canon name for the main hero. You'll be able to play as both the male and female versions in the new Smash, which is out this fall for 3DS and Wii U. Note: the original headline for this post said four characters were announced, but we've altered it to clarify that Chrom isn't playable.